Tally.ERP9 is a comprehensive software for all type of business. Users can generate Purchase order, Sales Order, Inventory Report and lots of reports used in daily routing business. But did you know? 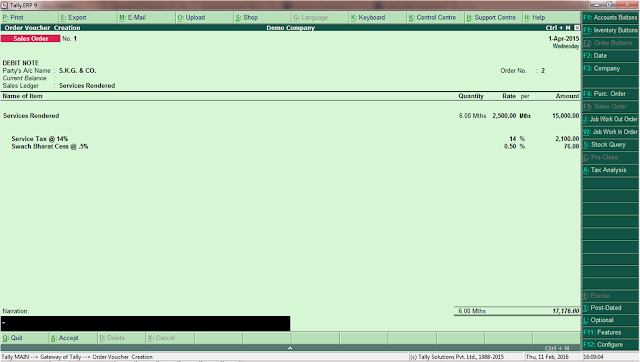 Tally.ERP9 also generate quotations. Yes Its true, Tally provide this amazing features from Release 4. So know we know about how to print quotation in Tally.ERP9 (For print Quotation from tally, you must configure your accounts with Inventory). Press T button of your keyboard on your gateway of Tally. Inventory voucher open, now press CTRL + 2 for order buttons. If Order button is not enable then Press F12, Inventory Features now enable on your screen. 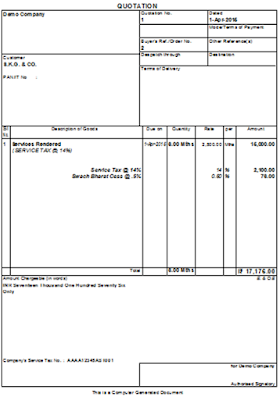 In option Order Processing, Select yes for purchase order processing and sales order processing and Accept. Before saving the voucher Press CTRL + L (for optional voucher), and Save / Accept. Go to Display -> Exceptional Vouchers -> Optional Vouchers. Open the entry and give print command (ALT+P). 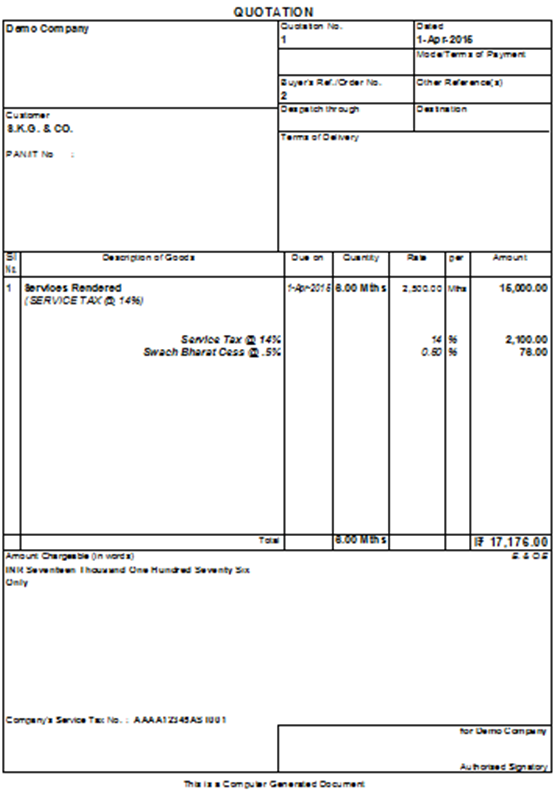 Now you can see Heading of document is Quotation. (See below image).